Founder Razwan Baig gives us an insight into the inspiration behind this truly historic project in which people from around the world unite, irrespective of caste, creed or religion, to write a verse of the Holy Qu'ran. The Al-Qalam Project is penning the first Qur’an that will be collaboratively penned by over 6000 people. Founder Razwan Baig talks about project’s past, present and future and his inspiration for this incredible endeavour. 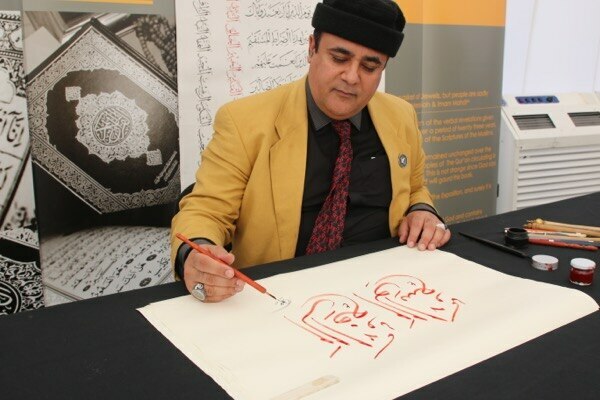 Al-Qalam Project founder Razwan Baig is also a calligrapher in his own right, having practised the art of calligraphy from a young age. 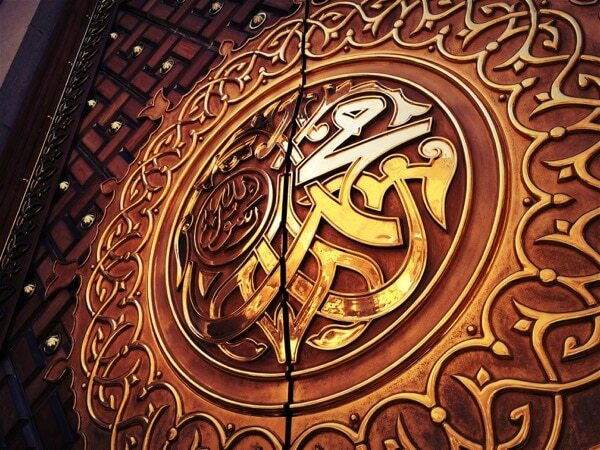 How did the Al-Qalam Project first come about and what was the inspiration for it? My journey to writing my first Qur’an started at the age of 12. At the time I was neither a calligrapher nor a collector. It took several years to develop and mature my love for the Qur’an through consistent and intensive practice. Now as a khataat [calligrapher] in the discipline of Islamic calligraphy, my life has changed completely. The contentment and blessings that I have received through the Greatest Book – the Holy Qur’an – are beyond my wildest imagination. I am truly humbled before my Lord that He gave me the perception of understanding life through this practice. In fact, for many years I have held free workshops and presentations to try and inspire people with knowledge of this practice. It so happened that one day I woke up for Fajr (the pre-dawn morning prayer) and I thought to myself, how can I involve devotees of the Holy Qur’an in this sacred art of calligraphy? I was inspired by a Hadith of Hazrat Aishahra, the blessed wife of the Holy Prophet Muhammadsa, in which she narrated that there are 6666* verses in the Qur’an. 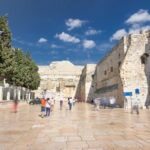 I thought of the history behind Qur’anic revelation and compilation and how earlier companions of the Holy Prophetsa contributed to this journey. Through Allah’s Grace this thought was converted into a noble idea: why not produce a Qur’an which would be written by more than 6000 people, who would not only be non-calligraphers but also followers of the Qur’an? 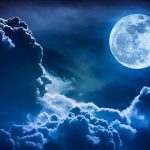 What are the unique aspects of this project and why is it significant? In the past all written Qur’ans have been written by calligraphers – normally by two or three different master calligraphers. With the invention of mass printing this art of calligraphy and writing Qur’ans by hand was largely lost as Qur’ans are now printed en masse. To restore this forgotten Islamic practice, the Al-Qalam Project was launched to have individual people each write one verse of the Qur’an. The beauty of this project is that people do not need to be calligraphers. Rather, each verse will be written by a different person, even one who may not have ever written Arabic before. To my knowledge, not a single Qur’an has been written in this way in the past fourteen hundred years. Furthermore, another unique aspect of this project is that women will also have an equal opportunity to take part in writing verses from the Qur’an. With each verse penned by a different person, the Al-Qalam Project will produce a unique copy of the Qur’an that highlights the diversity of Islam and Muslims. Thus, this is the first Qur’an of its kind where people from all continents of the world will unite together without any distinction of race, gender, colour, religion or culture. In addition, both Muslims and non-Muslims will be able to participate in this project. When the Al-Qalam visited the Jalsa Salana Germany 2016, the national president of the Ahmadiyya Community Germany, Abdullah Wagishauser, asked His Holiness, Hazrat Mirza Masroor Ahmadaba, worldwide head of the Ahmadiyya Muslim Community, about non-Muslims contributing to the Al-Qalam project. His Holiness replied that the Qur’an is for all people and religions, not just for Muslims, and therefore anyone could contribute. Many non-Muslims have therefore taken part in this blessed project since then. This is a unique moment in history whereby people from different faiths will unite under one umbrella to acknowledge that God is One and He is the Creator of the Universe and the Qur’an, the Word of God, is not for solely one religion or sect, rather it is for the benefit of all mankind. Another distinctive aspect of this Qur’an has been written on handmade acid free paper, which can last for many hundreds of years without any special preservation. Those people participating in in will have their writing and names preserved in history, so people will always remember them in the future. You mentioned that the idea for this project came about four or five years ago. Why was it only officially launched last year? During the first two and a half years when this Qur’an project first started, I used to invite people to my humble home. I would conduct calligraphy workshops and give presentations with different groups and invite people to write a verse of the Qur’an, but I was unable to even complete the first two parts. 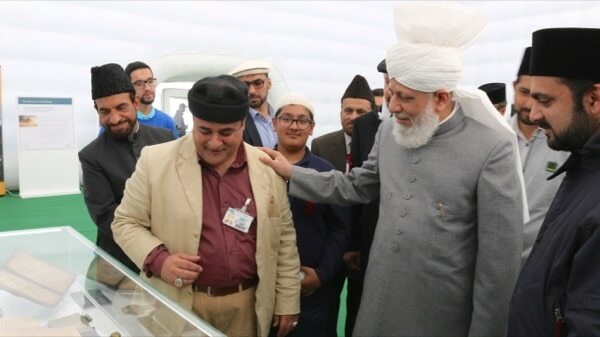 Razwan Baig is blessed with the company of His Holiness, Hazrat Mirza Masroor Ahmadaba, at the annual youth convention of the Ahmadiyya Muslim Community in UK. On display was Baig’s collection of rare and ancient Qur’anic manuscripts. During that time, I was fully supported by Hafiz Fazal-e-Rabbi (In-Charge of the Hafizoon school, Ahmadiyya Muslim Community UK, which trains youth to memorise the Holy Qur’an) during monthly Qur’an classes within the Ahmadiyya Muslim community, where I would carry out workshops to present the idea for this unique Qur’an project. At the same time, I started exhibiting my ancient Qur’an collection at the Jalsa Salana UK with The Review of Religions team. Around this time, I discussed this project with Amer Safir (Chief Editor of The Review of Religions) and the idea of launching it on a large scale. He suggested that we present the idea to His Holiness, Hazrat Mirza Masroor Ahmadaba, worldwide head of the Ahmadiyya Muslim Community for guidance and subsequently he arranged an audience with His Holiness. Hence, in February 2016, The Review of Religions team and I met His Holiness. My initial consideration was that with his blessing, if His Holiness participated in writing even one word in this Qur’an, the project would be immensely blessed. During this meeting, the complete proposal for the Qur’an writing project was discussed with His Holiness. Could you speak more about His Holiness’ support for the Al-Qalam Project? His Holiness liked the concept of the Al-Qalam Project and expressed his support for it. I humbly asked him if he would be willing to contribute to it by handwriting a verse of the Qur’an himself. After a few seconds’ deliberation, His Holiness replied by saying that he would Inshallah [God Willing] take part in this project at a later date and that he would write Surah Al-Fatihah, the opening chapter of the Holy Qur’an. It was one of the greatest moments of my life when His Holiness blessed this project by giving it so much support. His Holiness then enquired how long it would take to for the Qur’an project to reach completion. Whilst replying to His Holiness, I was overcome with emotion and had tears in my eyes. I said that if one verse was written every day, it would take approximately another 14 years to finish, but that I would love to complete this endeavour during my lifetime! His Holiness smiled and said that he could give me 30,000 people to write this Qur’an. Overcome with joy I asked how that would be possible, and His Holiness then instructed The Review of Religions to launch the Qur’an writing project at their exhibition at Jalsa Salana UK [annual convention of the Ahmadiyya Community, held in Alton, Hampshire]. Thus, with the blessing and guidance of His Holiness this project was launched in collaboration with The Review of Religions. 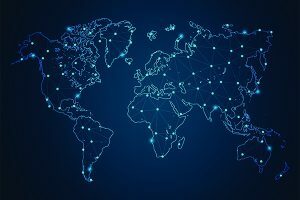 Their efforts in this regard are commendable and they have implemented a structure whereby this project can run smoothly anywhere in the world. Without every single individual, this project would not be possible to achieve at this scale. One point also worth mentioning is that the name ‘Al Qalam’, given to this project, was initially proposed by Shahzad Ahmad (The Review of Religions Islam Section Editor) and finally chosen and approved by His Holiness. After its initial debut in the UK, the Al-Qalam Project has travelled the world. 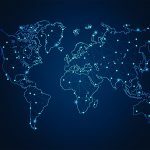 Could you describe its reception worldwide and what is next for the project? I am very fortunate that His Holiness graciously approved this project to be launched at Jalsa Salana UK 2016, where for the first time in history, people from all around the world participated during an annual convention. It was so popular that in that first year, 900 people participated. Then 1500 at Germany’s Jalsa Salana, 200 people participated in the Middle East, and 1500 in India at their Jalsa Salana that same year. Many non-Muslims from all over the world joined in writing one verse of the Qur’an in their own writing and became part of this unique project. Indeed, at Jalsa Salana UK 2017, His Holiness graciously mentioned the Al-Qalam project in his Friday Sermon on the very first day! I was completely humbled and thanked Allah the Almighty for His immense grace and favour. 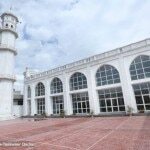 Due to the huge popularity of the Al-Qalam Project, His Holiness has also recently directed The Review of Religions to arrange a permanent section at the Baitul Futuh Mosque, London, where people, especially women, can come and write a verse of the Qur’an during assigned timings. I am currently collaborating with The Review of Religions so people can easily participate in the Al-Qalam Project. Can you describe the emotions of those who have taken part in this project? Why does this mean so much, especially to Ahmadi Muslims? History will remember the participants of this project and Allah the Almighty will shower His blessings upon those who participated. As Hazrat Mirza Ghulam Ahmadas, the Promised Messiah, has said, those who honour the Holy Qur’an will be honoured in heaven. I have countless memories of people who have taken part in this project. Sekiguchi Mansoor San, travelled from Japan solely to take part in this project. Her love for the Qur’an compelled her to travel thousands of miles to share in these blessings. 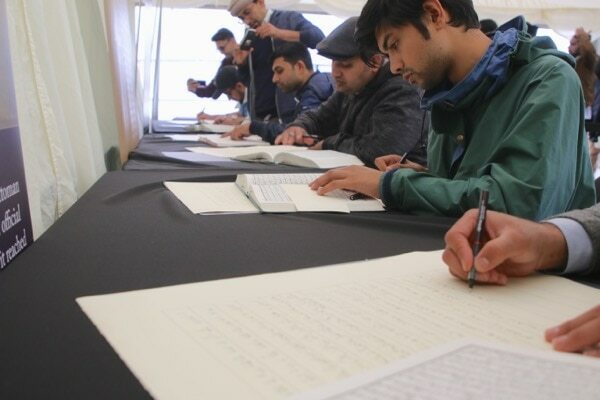 Over three days of Jalsa Salana (annual convention of the Ahmadiyya Community), the Al-Qalam Project allows over 900 people to pen a verse of the Holy Qur’an, an undertaking that involves months of planning and organisation and dozens of volunteers. The late Imam B.A. Rafiq, formerly Imam of the London Mosque, UK, was one of those initial people who encouraged and supported me in this project. I will never forget the tears in his eyes while he wrote a verse in this Qur’an and his saying that his future generations would remember the way Allah the Almighty had blessed him with this opportunity. The overall response has been simply phenomenal. During the Annual Convention, there was an unbelievable line of people waiting to participate. At times people waited until midnight in order to try and pen a verse. This is such an inspirational project that people queue for hours on end just to get the opportunity to take part. The dedicated Review of Religions team used all their resources to ensure the maximum number of people were accomodated. In the first year the Al-Qalam Project was open at Jalsa Salana UK, His Holiness very graciously made an unexpected visit to The Review of Religions exhibition marquee, during the time designated for women to participate (men and women had access to the tent at different times). His Holiness walked right into the heart of the Al-Qalam section and commented to one lady who was writing her verse that perhaps she was a calligrapher, since her handwriting was so good. 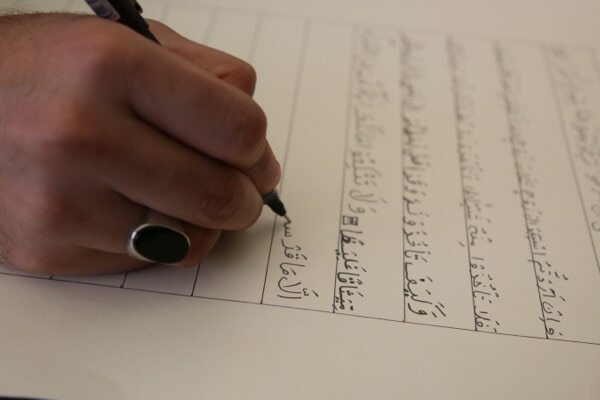 Every person who writes a verse in the Al-Qalam Project is also encouraged to write a guestbook entry afterwards with their name, place of residence and their thoughts about participating. I read one such entry from a lady who was present when His Holiness visited, as described earlier. This lady wrote that she had been waiting hours and hours for her turn for Al-Qalam, when all of a sudden His Holiness arrived in the marquee and came to the Al-Qalam section where she was and in one instance all her exhaustion and tiredness completely disappeared and all the waiting became completely worth it. During Jalsa Salana Germany, one person made a poignant point that it is only the Ahmadiyya Muslim Jama’at who have this special position in relation to the Qur’an today. He was explaining that the Qur’an has mentioned how the ‘earlier ones’ met with the ‘later ones’, which is through the Qur’an. 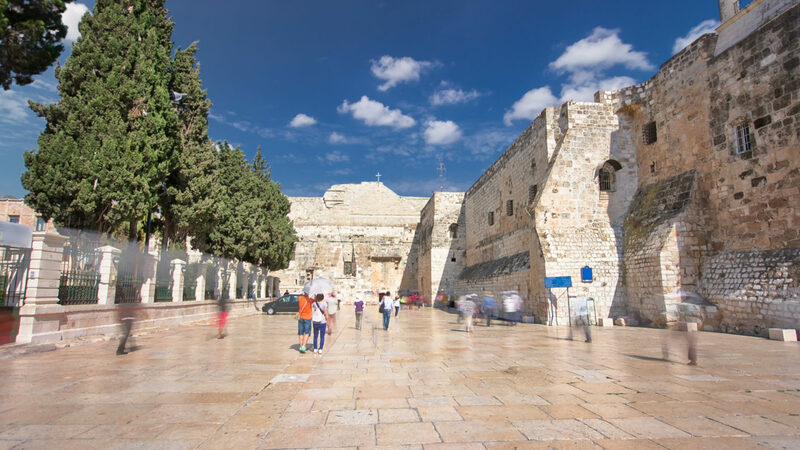 The companions of the Holy Prophetsa devoted their lives to spreading the revolution of God through writing and memorising and preserving the Holy Qur’an for posterity. Ahmadi Muslims are repeating this during the era of the ‘later ones’. 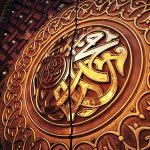 You are also a professional calligrapher; what has the response been from the people in the field of calligraphy and Islamic art who have come to learn of this project? The Islamic world of calligraphy has been so inspired by this project that I was invited by a Muslim group in the UK to present a major conference in Birmingham this year. I have also been approached by numerous Muslim and non-Muslim TV channels to introduce this project to their audience. Countless non-Ahmadis have visited my home and written in this sacred Qur’an. The great calligraphers Nassar Mansoor from Jordan, Taha Al-Hitti from Iraq and Abu Mustafa from Palestine deemed this project as an inspiration. Taha Al-Hitti even considered this project as the idea of the century in the history of writing the Qur’an. Since this Qur’an is being handwritten by non-calligraphers, there is the possibility of mistakes while writing, so how do you correct it if someone makes a mistake? Humans are not perfect; only Allah is perfect, and therefore mistakes do occur in a process such as this one. However, we ensure that there is always a Hafizoon team (Hafizoon are those who have committed to memory the entire Holy Qur’an) during Jalsa as well as after completion, who check and make corrections before this project is finalised. 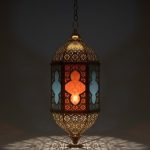 We have techniques that can be used to beautify the area where mistakes were made so that they do not stand out and are covered nicely, whilst ensuring we identify any mistakes and correct them to ensure complete accuracy of this sacred text – the Holy Qur’an. 1. Maujibatul Jannah, Al-Asbihani, page 282. 2. Man Kataba bism-I ALLAH al-rah man al Rahim, Tafseer Al-Dur Al-Manthur, Imam Jalaluddin Suyutirh, Lahore page 24. * There is no disagreement on the actual text of the Holy Qur’an, however there is varying opinions on the numbering of the verses held by various scholars. The total number of verses in the Holy Qur’an officially published by the Ahmadiyya Muslim Community is 6348.